We all know cooking with fresh herbs adds immense flavor to our dishes. But were you aware, also, that fresh cooking with fresh herbs also adds immense immune protection? Five herbs in particular, rosemary, parsley, peppermint, oregano and thyme provide important health benefits to food. 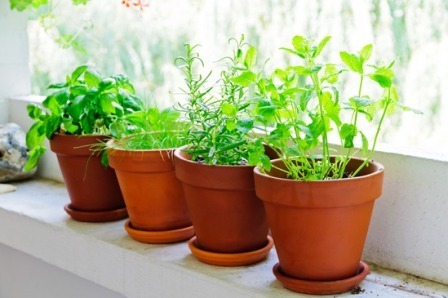 Knowing this, it’s a good idea to keep pots of these fresh herbs in our windowsill during the cold weather months. 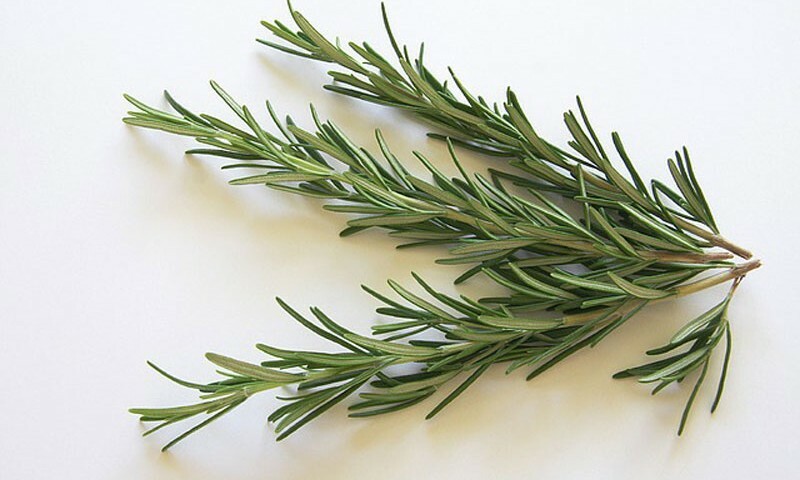 First, rosemary. Lots of research shows this herb has the capacity to boost brain power. Recent studies show that having higher blood levels of one of this herb’s main chemical compounds (absorbed from its aroma) was linked to the speed and accuracy of cognitive performance. Scientists have concluded that the higher the level of the compound in the blood, the better our brains do. Next, parsley. 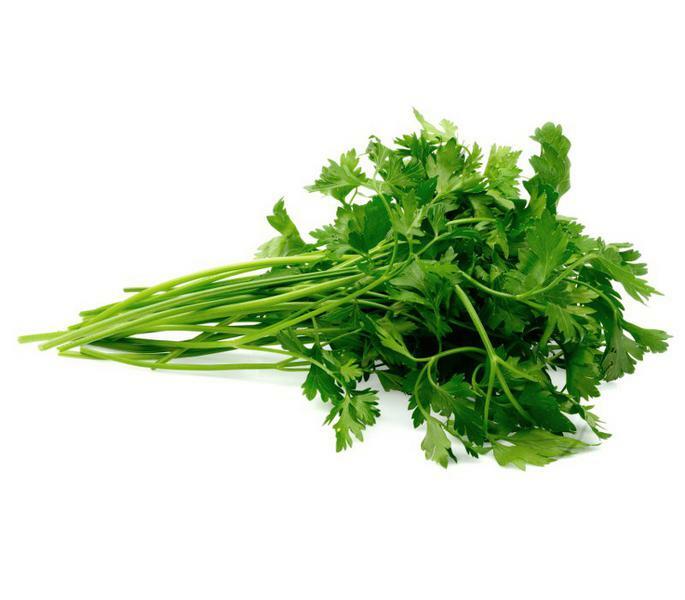 Here’s terrific news: You can actually prevent breast cancer with parsley due to its high levels of apigenin. Studies show that apigenin blocks the creation of new blood vessels required for cancer tumors to grow and multiply. So toss it into salads, add it to your daily green smoothie, and give it new respect. It’s not just an attractive garnish! Then there’s peppermint. Inability to digest food properly has become one of the more common health complaints, according to medical researchers today. But fresh peppermint addresses this issue with vigor. 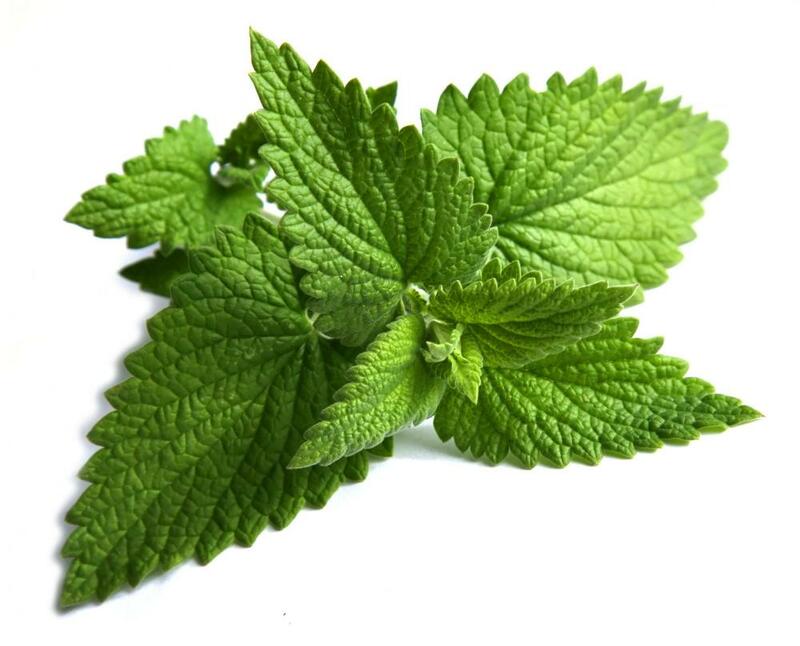 Without going into all the science around how it works, suffice it to say peppermint relieve digestive issues by activating an anti-pain channel in the colon. It’s easy to grow and easy to use. Flavor your water, teas, or hot cocoa with it. Crush it into a tiny bit of sugar and fold this into fruit salads. Add it to your smoothies. Or just munch a sprig or two each day. Your digestive tract with thank you. And remember oregano. It’s active ingredient is beta-caryophyllin (E-BCP), and this works miracles. 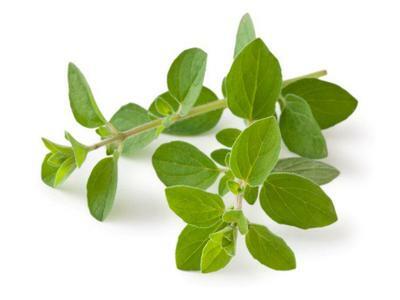 Count on oregano to counteract swelling and inflammation (internally as well as externally). E-BCP links to structures in a cell’s membrane, inhibiting the production of substances that signal inflammation. We know it as a mainstay to Italian cooking, but be sure to also add lots of fresh oregano to your soups, stews, and toasted garlic bread. Finally, thyme. Simply put, it’s time for thyme. Winter weather, with all its attendant colds, flu, and assorted aches and pains will have no affect on you if you infuse your dishes with this herb. Among fresh herbs, thyme has the second-highest amount of antioxidants (sage has slightly more). This level is measured on the ORAC scale, the oxygen radical absorbance capacity (a measure of a food’s ability to fight off disease-causing free radicals in our body). 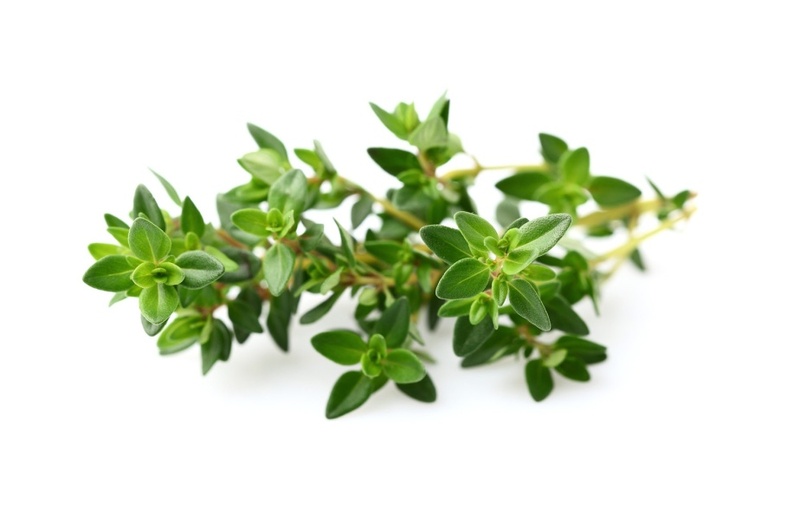 And besides registering HIGH on the ORAC scale, thyme is also a very good source of vitamins A and C, as well as iron and dietary fiber. So add this fresh herb to everything you can! We like to sprinkle it on salmon or chicken and add it to our pots of soups and stews. In fact, I’ll close with one of our favorite stew recipes that Aunt Annie taught me to make when I was just a teenager. Who knew back then that we weren’t just boosting the flavor, but our health as well, by cooking with fresh herbs? Heat 1 teaspoon of olive oil in the pan and cook the onions with a pinch of salt until they are translucent and brown around the edges. Add the mushrooms and another pinch of salt, and cook until they have released all the moisture and have turned golden-brown. Add the celery and cook until just softened. Clear a space in the middle of the vegetables and sauté the garlic until fragrant, about 30 seconds. Stir in the thyme and bay leaf. Pour the wine into the pot to deglaze, scraping up all the browned bits from the bottom of the pan with a wooden spoon as the wine bubbles. Let the wine reduce down until most of it has evaporated or been absorbed by the vegetables. Transfer everything to the slow cooker. Add both stocks to the slow cooker and top with enough water to cover the meat and veggies by about 1/2 inch. Cover and cook for 4 hours on low. Stir in the barley, cover again, and cook until the meat and barley are tender, about 2 hours more on low. Skim off any fat if desired, taste, and add salt and pepper as needed. 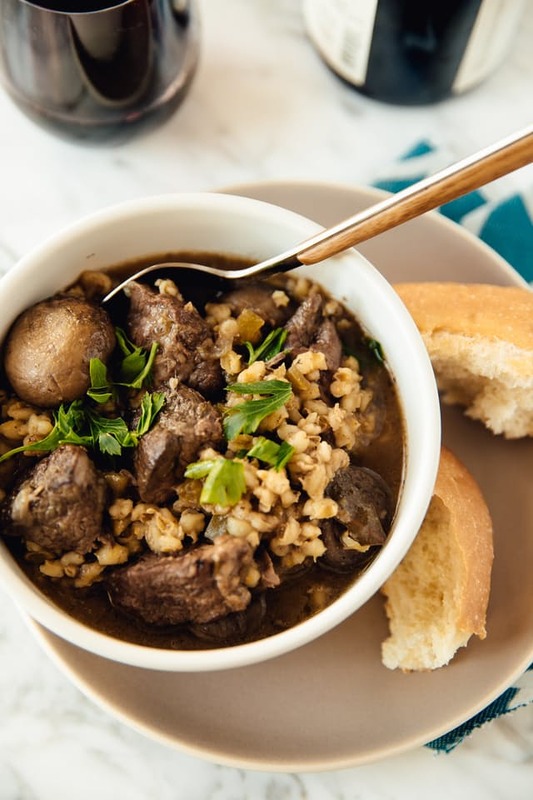 Cooking barley: Anytime you’re unable to add barley into your slow-cooking time, just boil it separately ahead of time in water until tender, about 45 minutes. Cooked barley can be stored in the refrigerator for up to 2 days. Cooked barley can then be added in to the slow cooker recipe; just allow enough time for it to heat through before serving.